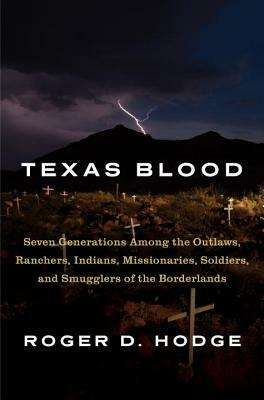 In the tradition of Ian Frazier's Great Plains, and as vivid as the work of Cormac McCarthy, an intoxicating, singularly illuminating history of the Texas borderlands from their settlement through seven generations of Roger D. Hodge's ranching family. What brought the author's family to Texas? What is it about Texas that for centuries has exerted a powerful allure for adventurers and scoundrels, dreamers and desperate souls, outlaws and outliers? In search of answers, Hodge travels across his home state--which he loves and hates in shifting measure--tracing the wanderings of his ancestors into forgotten histories along vanished roads. Here is an unsentimental, keenly insightful attempt to grapple with all that makes Texas so magical, punishing, and polarizing. Here is a spellbindingly evocative portrait of the borderlands--with its brutal history of colonization, conquest, and genocide; where stories of death and drugs and desperation play out daily. And here is a contemplation of what it means that the ranching industry that has sustained families like Hodge's for almost two centuries is quickly fading away, taking with it a part of our larger, deep-rooted cultural inheritance. A wholly original fusion of memoir and history--as piercing as it is elegiac--Texas Blood is a triumph. ROGER D. HODGE is deputy editor of The Intercept and author of The Mendacity of Hope: Barack Obama and the Betrayal of American Liberalism. Formerly he was the editor of the Oxford American and Harper's Magazine. Hodge's writings have appeared in many publications, including Texas Monthly, the London Review of Books, Popular Science, The New Republic, and Harper's. His essay "Blood and Time: Cormac McCarthy and the Twilight of the West" was a finalist for the National Magazine Award for criticism. He lives in Brooklyn.